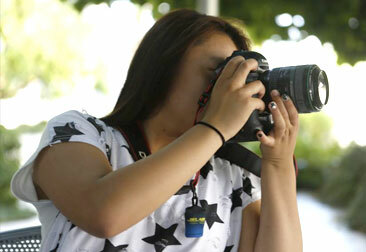 The 1-Week Photography Camps for teens is an intensive exploration of still photography in the digital age. Summer campers receive hands-on instruction and experience with the tools necessary to research, compose, capture, and refine digital photographic projects. We encourage our students to be creative and to think of each project as a concise statement of artistic, documentary, journalistic, or commercial intent. Campers will learn professional techniques in practical labs, go on field trips to photograph an infinite variety of locations and subjects, and learn to use industry-standard digital imaging software. All 1-Week Photography students at our New York City or Los Angeles campuses are required to bring with them to the camp a digital camera with manual exposure control. Please note that curriculum, dates, prices are open to change.